The total population of China has reached 1.45 million. Of this, the economically active population was 785.79 million at the end of 2011. At that time, China’s workforce hit 764.2 million people, with 359.14 million employed in urban and 405 million in rural China. The number of migrant workers stood at 252.78 million, with an increase of 10.55 million from 2010. Among the migrant laborers, about 158.63 million worked outside of their home province. Regarding the sectors, primary industry accounted for 34.8 percent of total employment, while secondary industry represented 29.5 percent, and tertiary industry had a share of 35.7 percent. The unemployment rate in urban China stood at 4.1 percent, and the number of unemployed persons reached 9.2 million. Employment forecasts by the Ministry of Labor project annual growth to average 3.2% per annum over through 2015. Approximately 1.6 million foreigners are employed in China. Of those, foreigners teachers account for 82% with average salaries of 16,500 yuan per month. 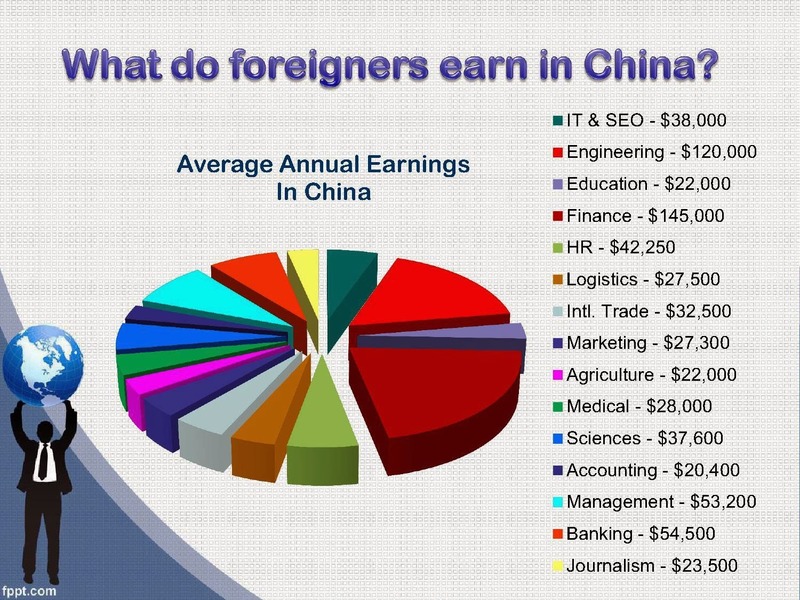 Average salaries for professional foreigners is 52,000 yuan per month. Currently, expat foreign teachers are the lowest paid foreigners in China. The above information was obtained from China's Ministry of Labor. The below chart was compiled by independent CFTU research conducted by our volunteer staff over the last six months based on random surveys of 500 ESL teachers working abroad in the countries researched. This may explain why fewer teachers are coming to China. CFTU members can obtain a copy of the complete report by sending an email to admin@ChinaForeignTeachersUnion.org. The numbers above in the left column equate only to average monthly salaries in thousands of USD. The good news is that Chinese society still respects teachers as much as doctors and airline pilots. If only we could pay our mortgages and car payments with prestige! 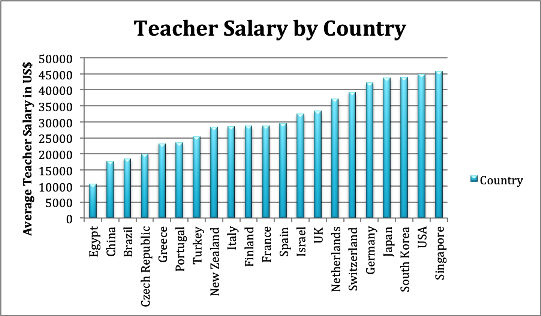 Below is the average pay of primary school teachers by country as compiled by UBS HR's Department. The first figure represents Annual Gross Income. The second figure represents after-tax income, and the last number represents the hours worked per week. Here's another easy to read pie chart we "borrowed" from Mercer - the second largest HR company in the world. We also obtained one from Fesco in Chinese but the figures are less than 3% different, so we are not going to post it here. If anyone wants the Fesco chart in Chinese, please send us an email. *Note further that these are aggregated amounts of an average expat salary in the private sector in China: if you work for a small firm or company, expect to earn a little less; if you work for a large firm or company (or better yet, a foreign company), expect to earn a little more. The amounts quoted also assume a fair amount of relevant work experience – as a foreign worker in China, a minimum of 8 years is preferred. For many expats, the question of whether or not to emigrate to China will depend on their saving potential – i.e. how much money they can 'bank' at the end of every month, after paying tax and covering accommodation and living expenses. Although China's cost of living is famously low – with youthful ESL teachers known to live on about RMB 3,500 (USD 500) per month – your expat salary package remains very important. Try to negotiate the best possible deal for yourself, as often the 'perks' of your contract will decide whether a move to China is financially viable for you or not. 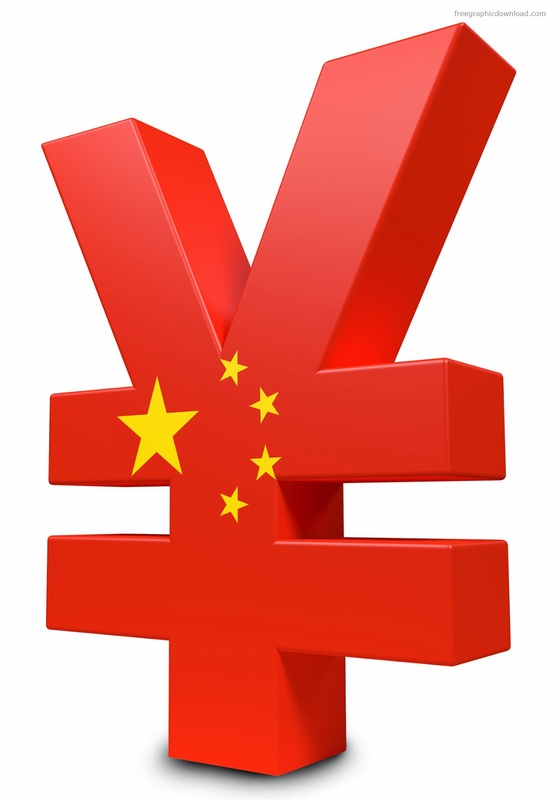 Although many Chinese employers won't provide an accommodation stipend, some will. You're doing well if they offer you something in the region of RMB 9,000 (USD 1,500) per month. Health insurance for foreign workers in China is quite expensive, and if this is provided in your salary package, it will save you at least RMB 1,300 (USD 200) per month. The issue of whether or not the company will provide for education expenses is often the 'deal-breaker' for expat families planning a move to China. The price of good-quality international education is astronomical – as much as RMB 1.2M (USD 200K) per year in the most extreme cases. Bear in mind, too, that most expats will be taxed around 20% of their monthly salary in China, but that this can rise to 40% for high earners. Note that as a foreign worker in China, you will be expected to work very hard for your money, and that the intensity of the Chinese workplace can be a bit overwhelming for some expats. Remember that although working in China might not be as financially rewarding as working in other expat destinations, such as the Middle East or Russia, there are some wonderful cultural benefits to such an adventure. China is at the forefront of global economic development, and there are many exciting things happening within the country to attract ambitious professionals. Also, the opportunity to learn a bit of Mandarin is widely reported by expats to be one of the most valuable aspects of working in China.